Modern smartphones ship with more storage than some PCs. Even so, with high-resolution cameras, 4K video capture, and games that surpass 1 GB, it's all too easy to run out of room. 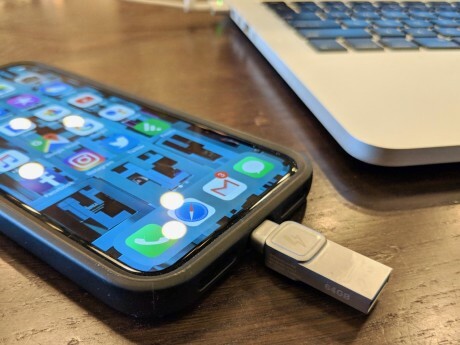 There are two major ways to back up your iPhone or offload data/files: to the cloud, or to some sort of local storage, like a thumb drive or PC. Each has pros and cons. 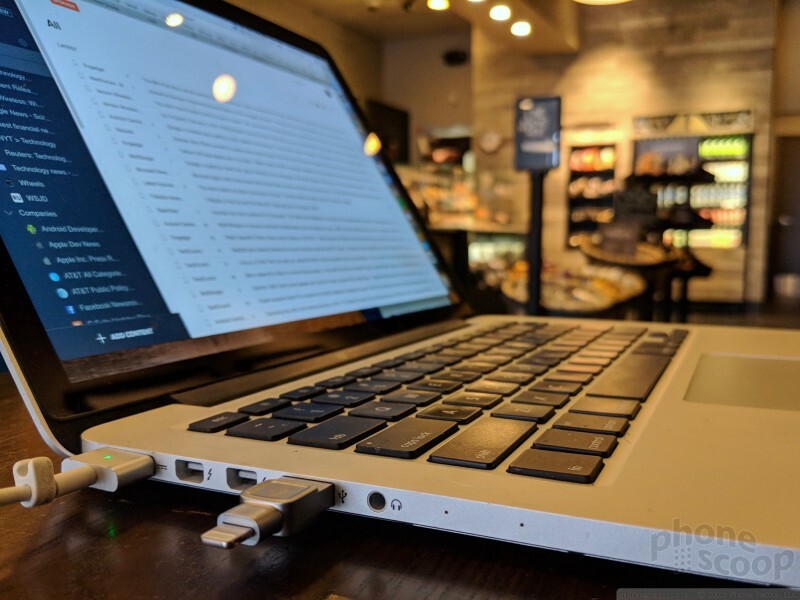 Cloud-based backups demand a wireless connection (preferably Wi-Fi) and can be slow. But once completed, they're available anywhere. Drive-based backups are fast and easy, though limited to a single location or device. 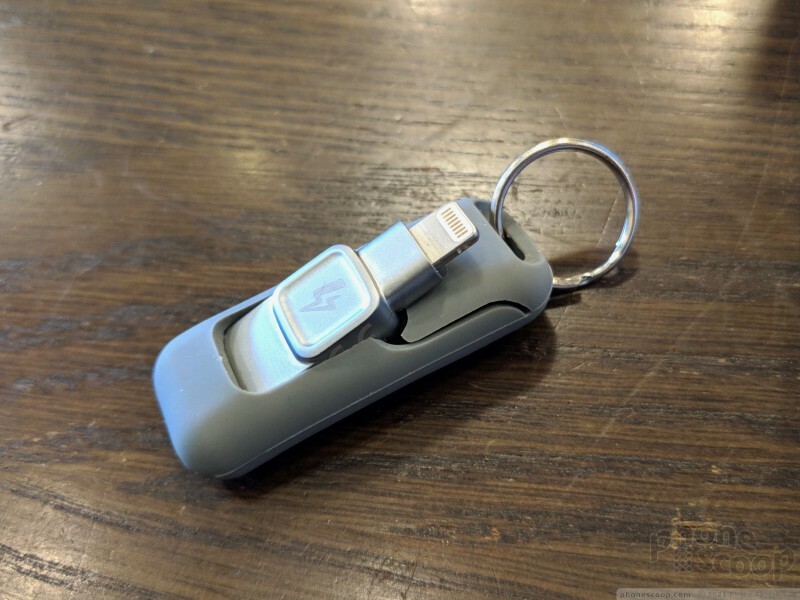 Kingston has a hardware option in the DataTraveler Duo Bolt, a thumb drive that backs up just your photos and videos. 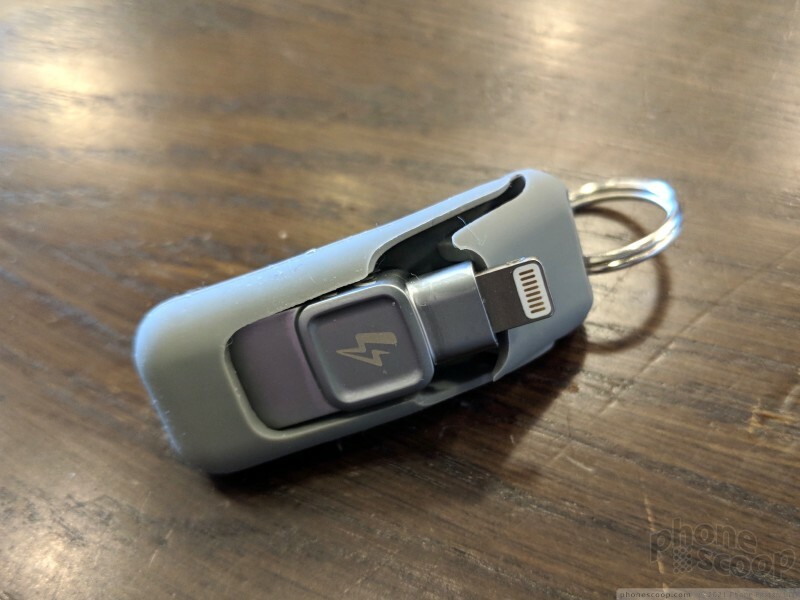 The DataTraveler Duo Bolt is easy to lose. 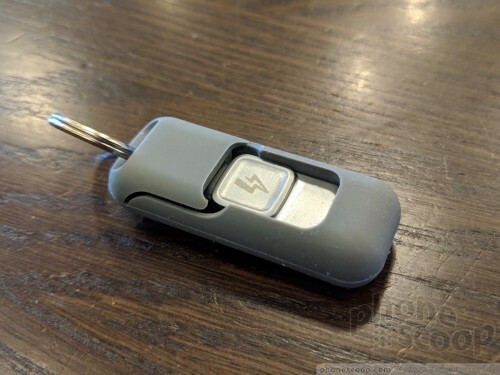 Like most thumb drives, it's a tiny fob. I misplaced it at least twice over the course of a week. 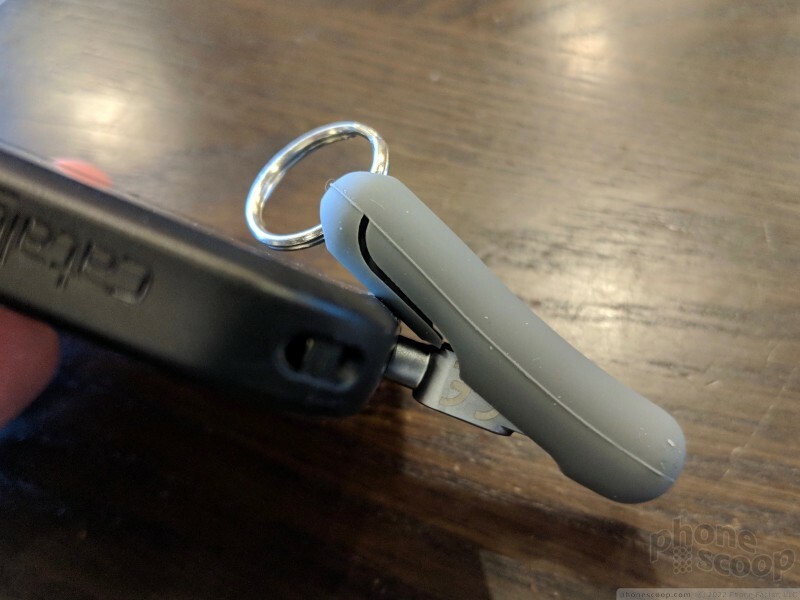 A keychain ring is built into the rubber housing; I recommend you use it. 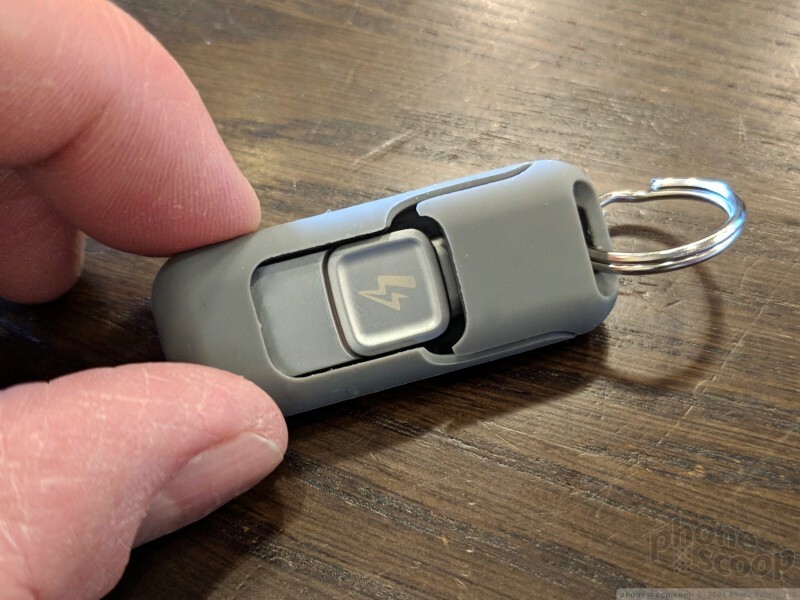 The Duo Bolt is made of two components: the actual drive, and a rubber carrying case of sorts. The drive could not be any smaller. 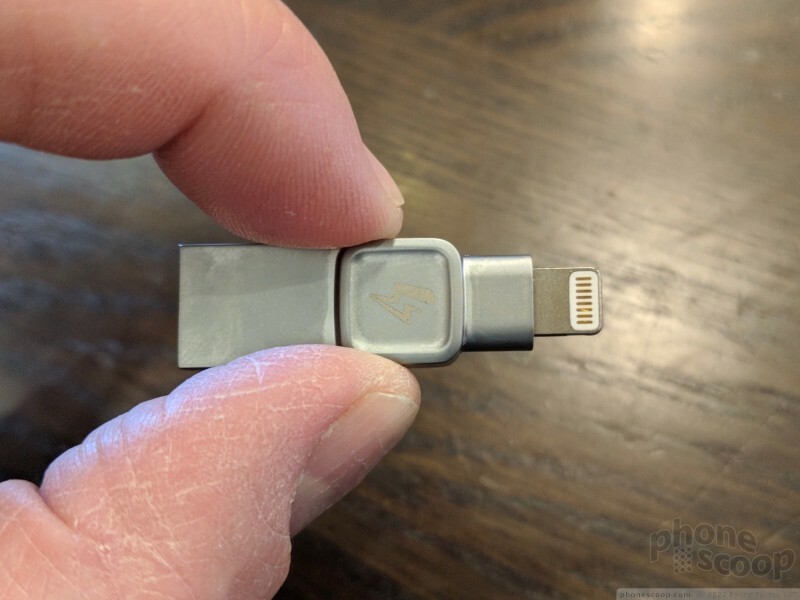 It's 1.6 inches long and 0.48 inches wide. 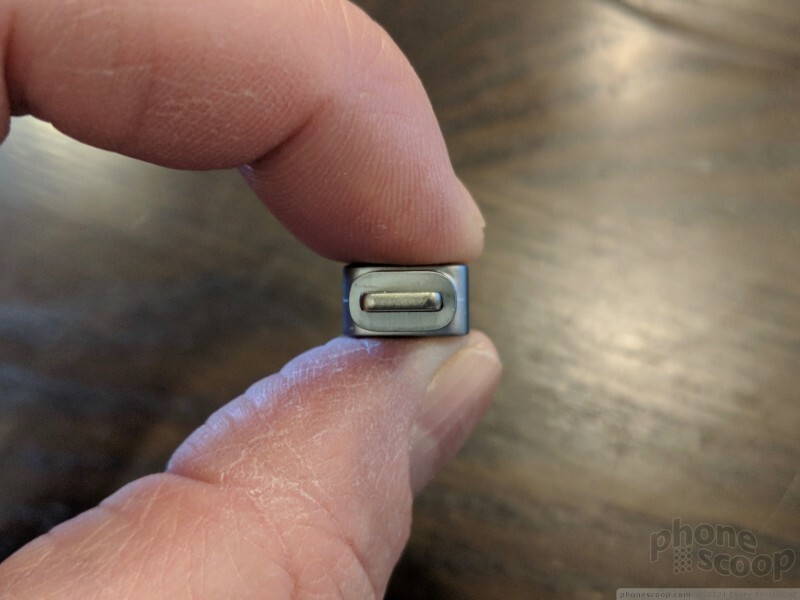 A standard male USB-A (3.0) connector is on one end, and a male Lightning connector is on the other. There's hardly anything in between them. I like that the chassis itself is made of metal. It does sort of look like a bolt. 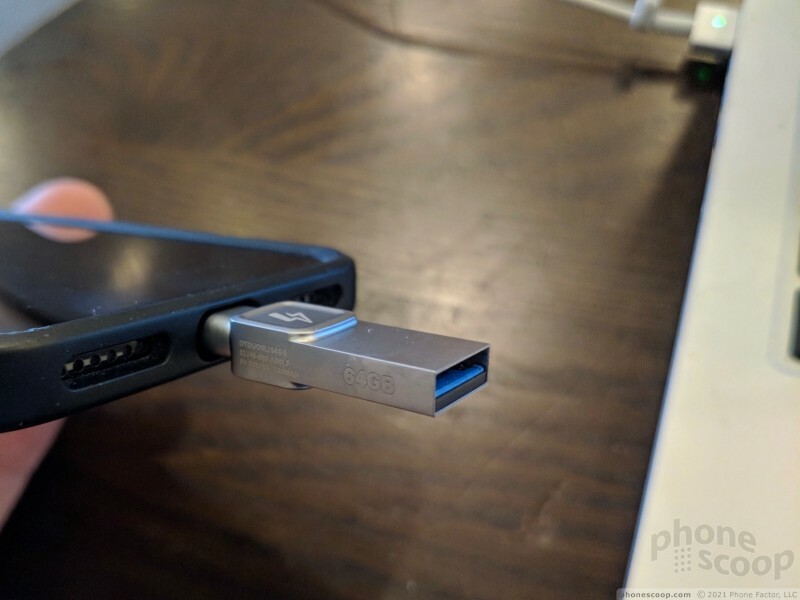 It fits into computer USB ports and iPhone Lightning ports with no issues whatsoever. 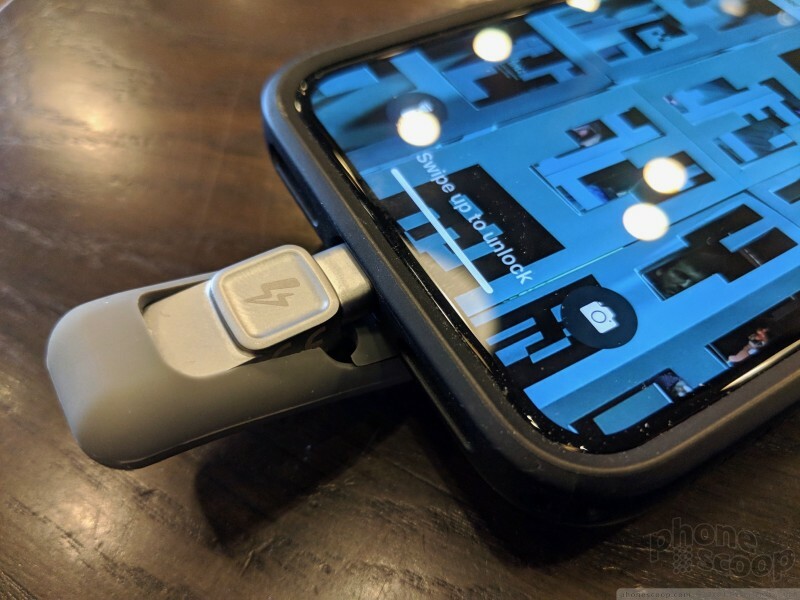 Perhaps the best aspect of the Duo Bolt itself is that — unlike some alternatives — your iPhone will lay flat on a table when the drive is plugged in. The rubber casing is made of soft, flexible rubber and has a tongue-like flap over the Lightning end. 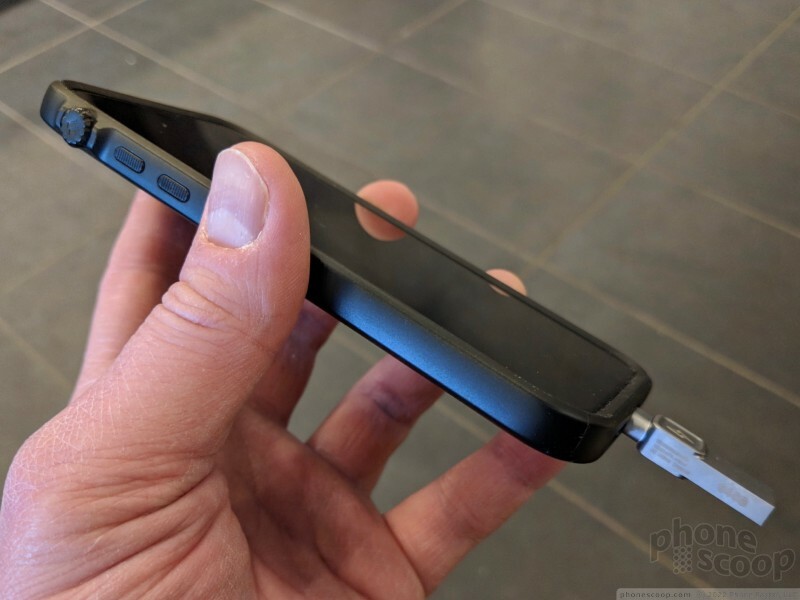 The flap allows you to leave the Duo Bolt in the case when it is plugged into your iPhone, but it's awkward to peel back. The casing does protect the Duo Bolt and — thanks to the keyring — makes it easy to tote around. 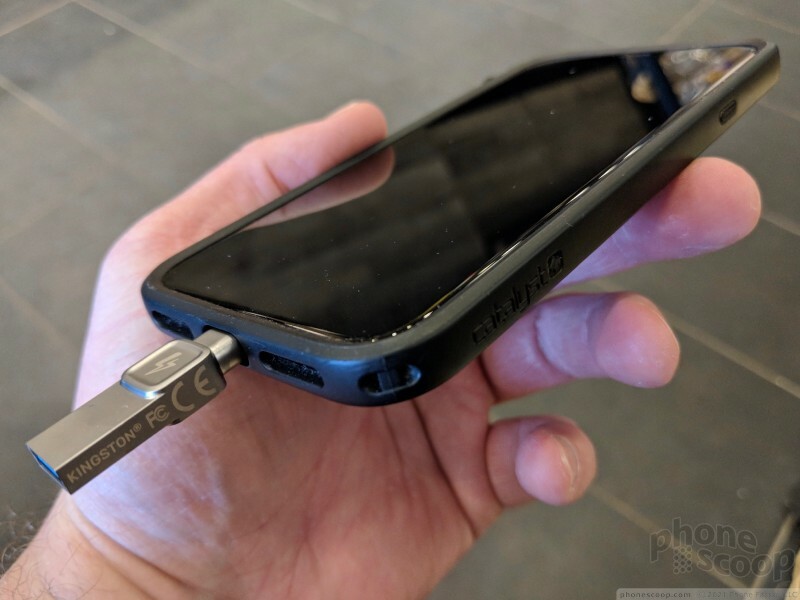 I'm sure the case could have been designed a whole lot better. Because the Duo Bolt only backs up photos and videos, the free app is dead simple. 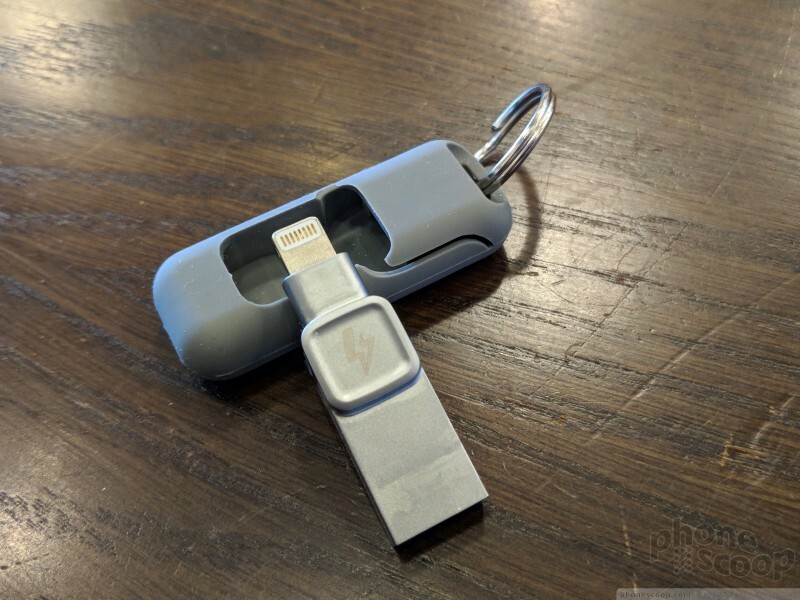 You'll be prompted to download and install the app the first time you plug the Duo Bolt into your iPhone. It asks for two sets of permissions: notifications and storage. The app seems small, lightweight, and stable. Two icons at the top of the screen immediately show you how much space is left on your iPhone and how much is left on the Duo Bolt. In addition to a graphical representation, it also gives you the raw number. Below that are three options: transfer, capture, view. 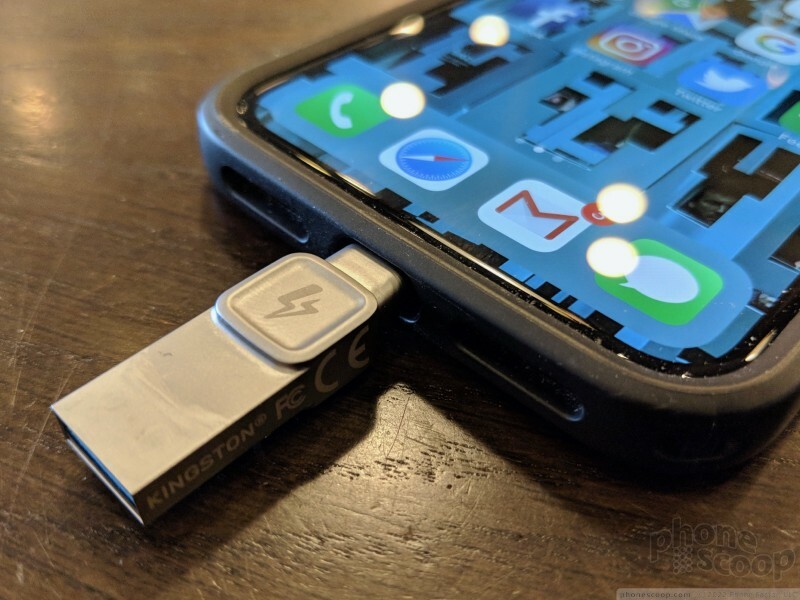 The transfer tool does exactly what it says: tapping it initiates a transfer of all photos and videos from the iPhone to the thumb drive. 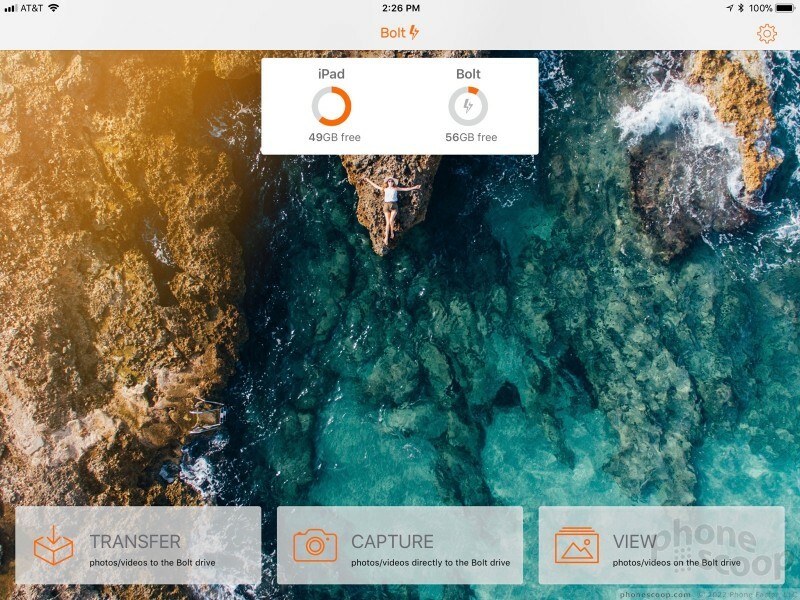 You have the ability to customize this behavior, such as backup just photos, just videos, delete everything once it has been transferred, include or ignore GPS data, and so on. Capture lets you snap photos or videos through the app and store them directly in the Duo Bolt. The built-in camera is a bad facsimile of the standard Apple camera and lacks all but the simplest features. It's painfully slow. 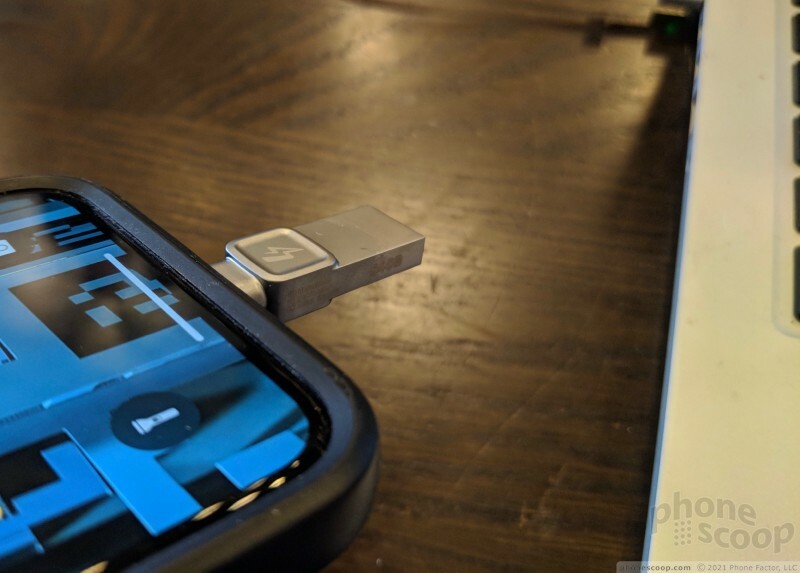 The view mode lets you see what you've transferred from the iPhone to the thumb drive. If you've paired the Duo Bolt with more than one iOS device, such as an iPad, it will reveal a separate folder with that device's content. Viewing the actual photos takes time, as there's no real search tool: it's just one big grid of images. Thankfully you can at least sort between photos and videos. Again, it's slow. 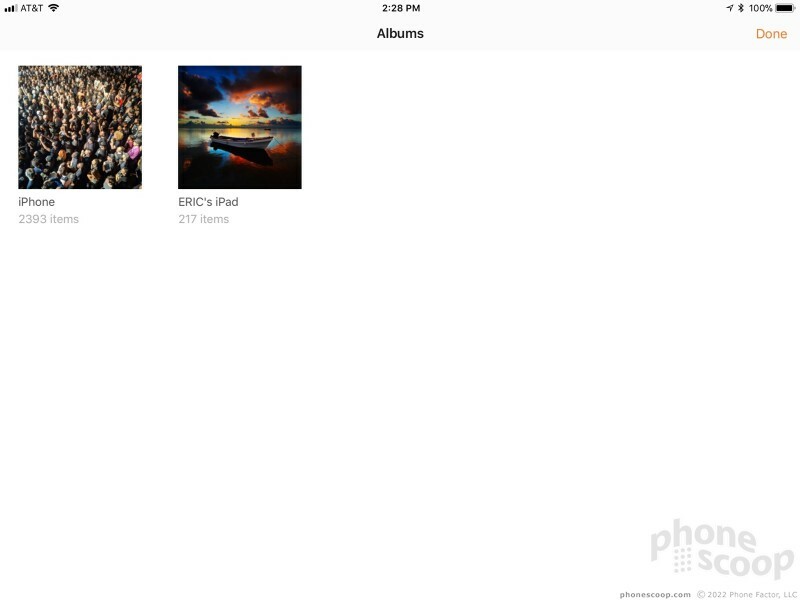 I do like that you can transfer images from one iOS device to another. Kingston completely failed on security. You can elect to password protect the Duo Bolt with a PIN, or fingerprint via TouchID. 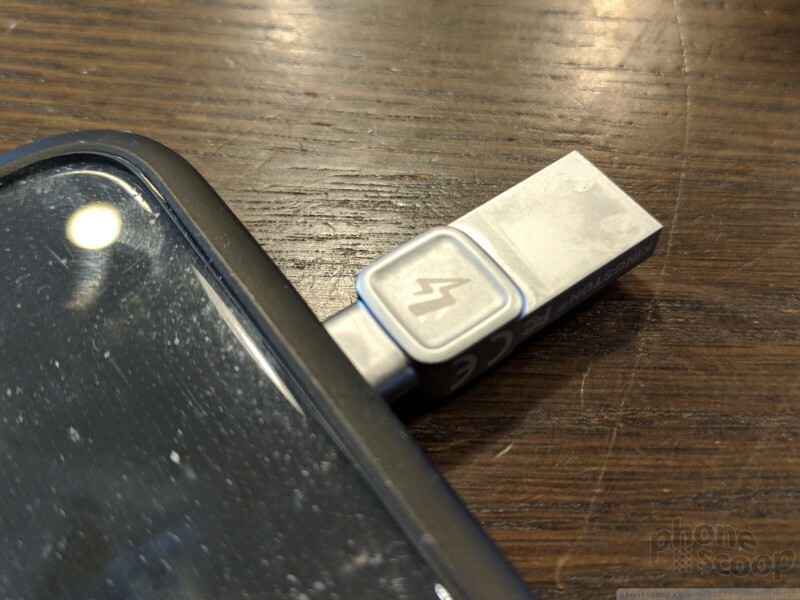 This prevents anyone else from finding the drive, sticking it into their own iPhone, and stealing all your photos/videos. But there's no protection at all when you plug the drive into a PC. 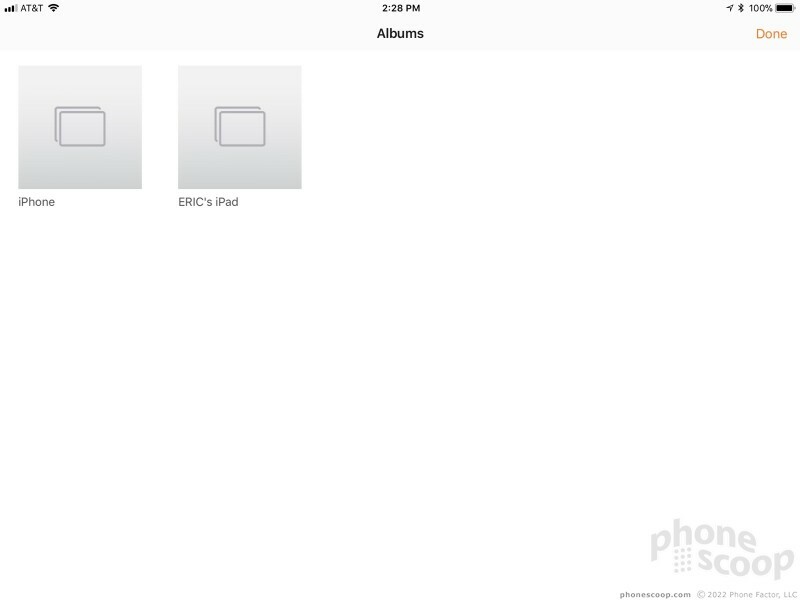 Even with password protection turned on via the iPhone app, anyone can view and download the images from the drive to a computer. Oops. 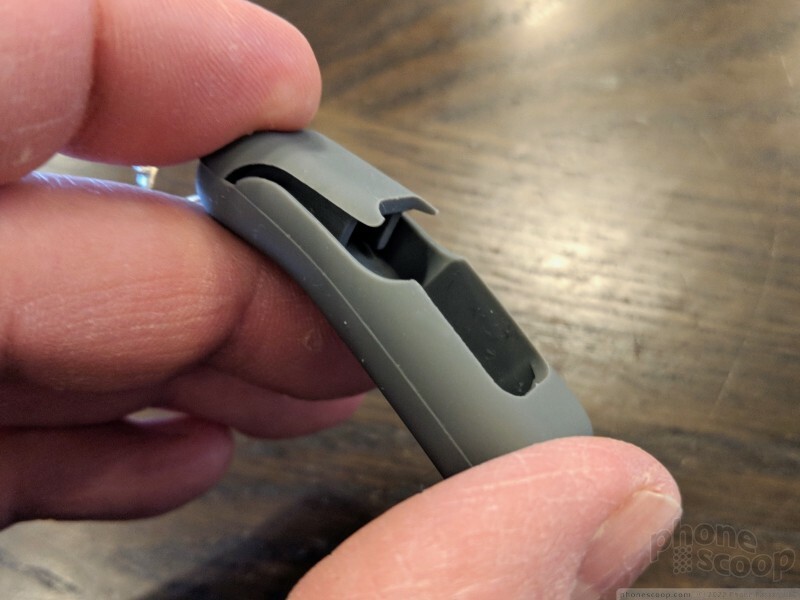 The app may be easy to use, but there are a few hiccups as far as performance is concerned. First, it's slow. I think I might have said this already. It took close to 12 minutes to transfer 4 GB worth of photos/video to the Duo Bolt, where the same files took less than a minute to transfer from my iPhone to my laptop via cable. That's not the end of the world, but just wanted you to be aware. If you're backing up photos at the end of a vacation day, that 12 minutes probably is no big deal. The Duo Bolt doesn't look for changes. In other words, it backs up the entire photo/video folder each time you plug it in. It would be better if the software were smart enough to see which files are already backed up so it can only save the new ones. This won't matter if you opt to delete the original photos from the iPhone once they're backed up. 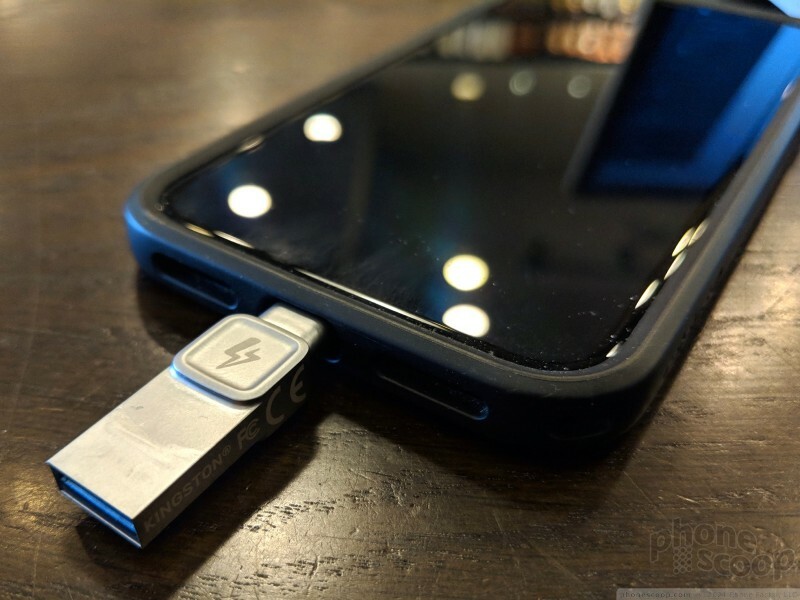 However, if you keep the files on your phone it means backing up to the Duo Bolt will only take longer every time you plug it in. I'd avoid using the auto-backup feature. 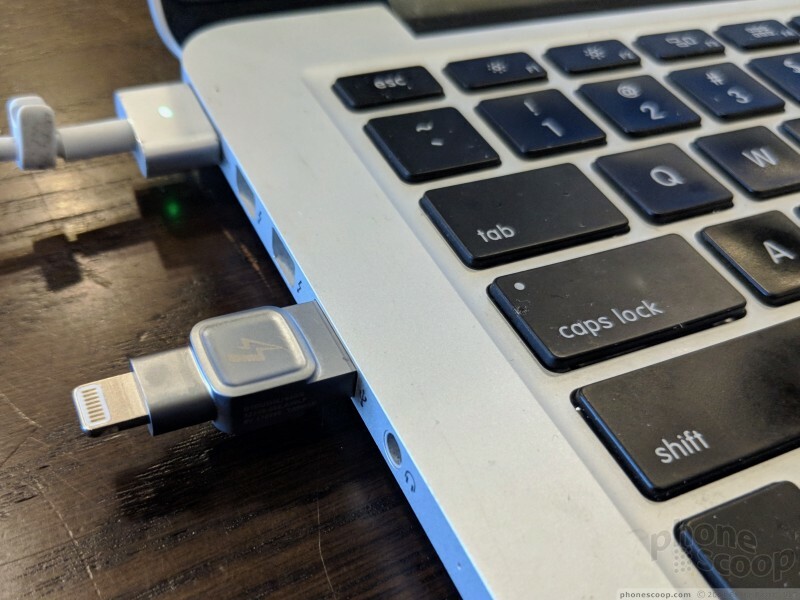 If you do this, the Duo Bolt will commence backup as soon as you plug it in. That may sound nice in theory, but once you start a backup you can't really stop it lest you risk file corruption. And as I've said, it's slow. Apple already lets you back up your iPhone to iCloud. Everyone gets 5 GB for free, but that's a pittance. You can subscribe to more storage: 50 GB for $1/mo, 200 GB for $3/mo, or 2 TB for $10/mo. This is an Apple tax that I'm sure many resent paying. Google, via its Google Photos app, gives you unlimited photo backups for free, as long as you don't mind "high quality" and not full resolution backups. I recommend that everyone take advantage of Google Photos no matter what other backup method you might employ. It's free and powerful. That said, there's still a case for local backups to hardware-based storage. For example, wireless backups aren't practical when you're roaming in another country and rates are high. Further, speedy wireless connections (still) aren't always available to everyone. 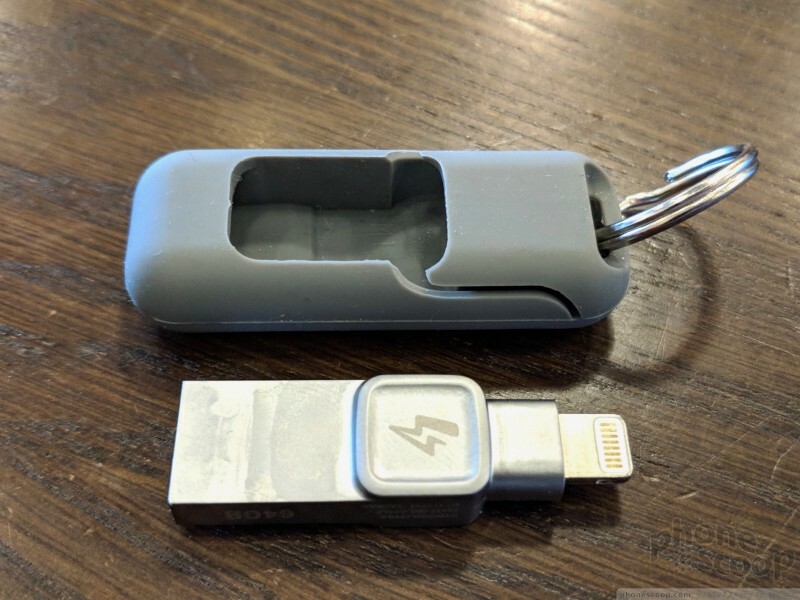 Kingston sells the DataTraveler Duo Bolt in three capacities: 32 GB, 64, GB, and 128 GB. 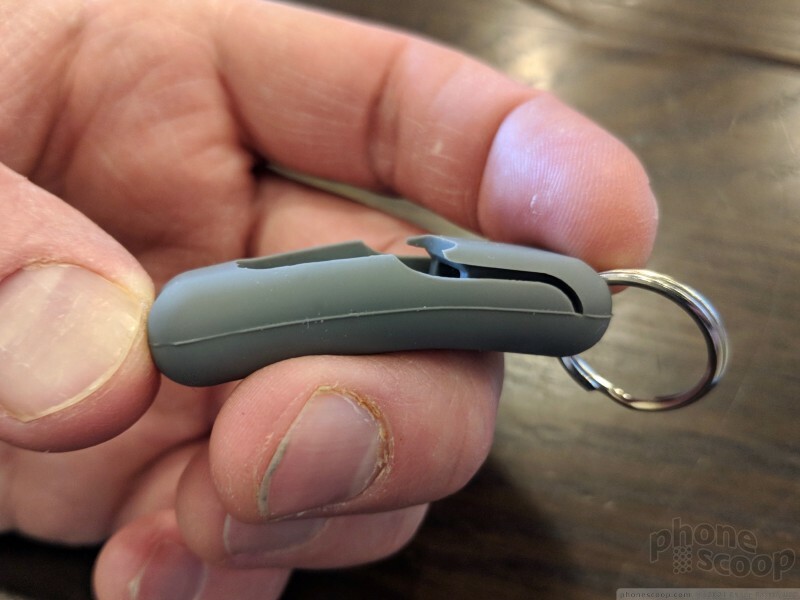 The thumb drives are really pricey at $60, $90, and $120, respectively. 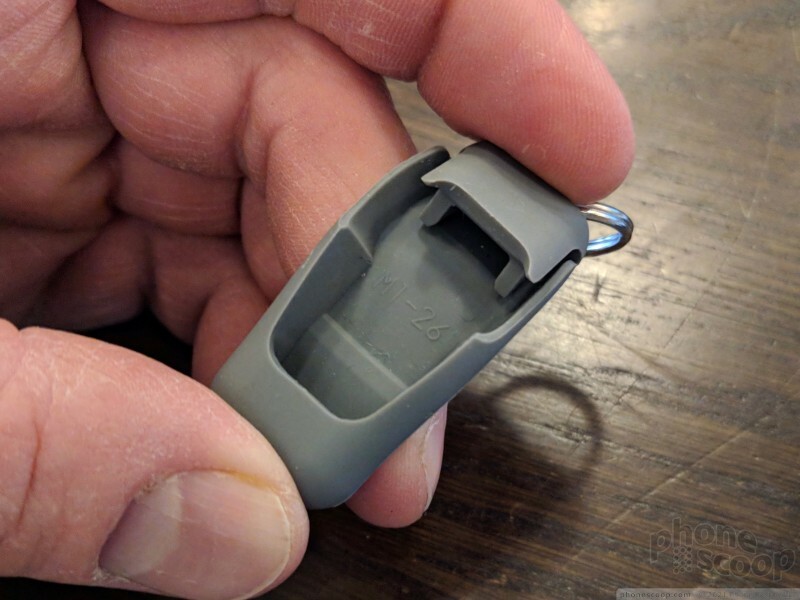 To put that into perspective, you can find a standard 128 GB thumb drive online for about $50 or $60. Why the 2x markup in price? 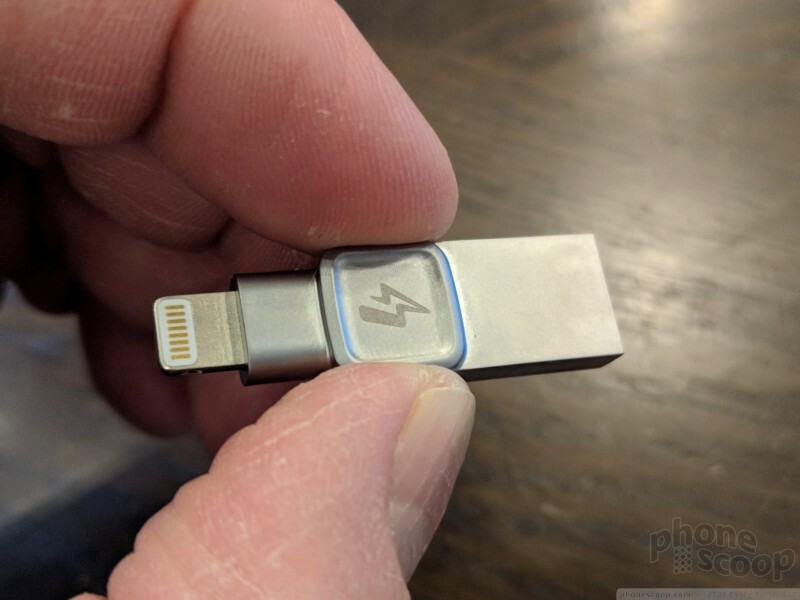 The Lightning port conforms to Apple's Made for iPhone program, which means licensing fees are involved. Also, Kingston is clearly trying to make up the resources it spent developing the app. To some, surely their vacation photos are priceless and worth a pretty penny. 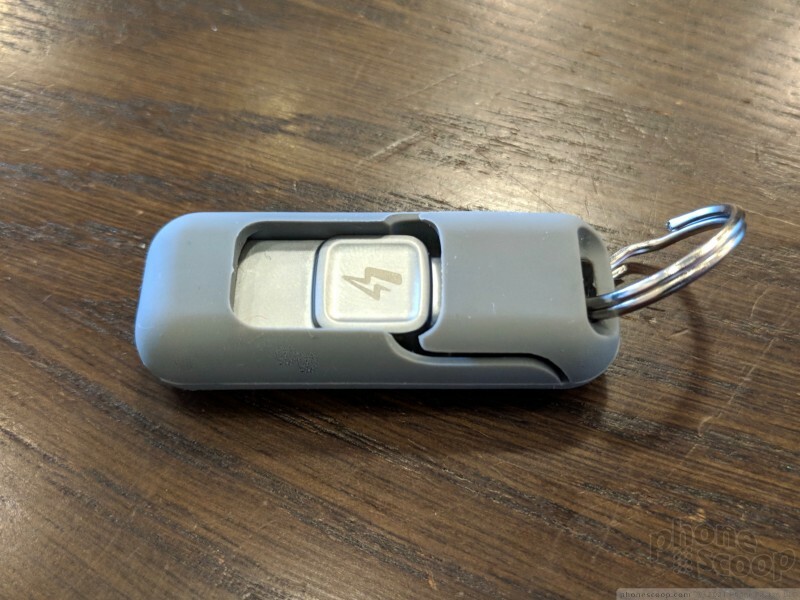 I'd recommend the Kingston DataTraveler Duo Bolt only to those who don't trust the cloud and want something local on which to store photos and videos. Otherwise, it costs too much for what it offers.